The human voice in its singing and speaking inspires Anna Rubin’s work. Whether her works are composed for ancient instruments or developed with sophisticated digital software, she tells stories, she protests injustice, she celebrates the human spirit in dynamic works for solo virtuosi, choral and chamber ensembles, orchestra and fixed media. The music of Anna Rubin engages a listener’s curiosity, emotions and intelligence. She composes instrumental and computer-generated music in a variety of genres ranging including solo, chamber, choral, wind ensemble and orchestra. Her work has been commissioned by several groups including: Baltimore Dance Project, New England Foundation for the Arts, The New York State Arts Council, the Northern Ohio Youth Orchestra/ Oberlin Choristers/Ohio Ballet Theatre, Cleveland Choral Arts Society, Urban Sky Consort, WNYC-New York Public Radio, and New American Radio. Soloists such as Thomas Buckner, Marlowe Fisher, F. Gerard Errante, Jeffrey Krieger, E. Michael Richards, Airi Yoshioka, Maria Loos and Isabelle Ganz have commissioned works from her as well. Her work has been performed by such ensembles as the Da Capo Chamber Players, Los Angeles EAR Unit, the Nash Ensemble, Contemporary Music Forum, and Ruckus. Performances in recent years have occurred in Beijing, Hong Kong, Berlin, Los Angeles, Washington DC, Baltimore, Miami and on nearly a score of university campuses in the United States. Such organizations as the International Computer Music Association, the Society for Electro-Acoustic Music U.S. and International Alliance for Women in Music have featured her compositions as well. Her work is recorded on the Capstone, Neuma, Sony and SEAMUS labels and she is published by Neuma Publications and AR New Music. 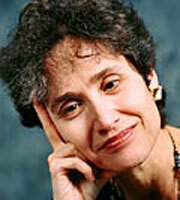 She has taught at Oberlin College, Lafayette College, and since 2002 at the University of Maryland-Baltimore County. She began her graduate work with composers Mel Powell, Earle Brown and Pauline Oliveros, and completed a doctorate in composition with Paul Lansky at Princeton University. Her research into the work of composer Francis Dhomont has resulted in publications and conference presentations in France and the U.S.
She has had a long association with a number of contemporary music associations including the American Music Center (one-time editor), Independent Composers Association of LA (co-founder), Perspectives in New Music (editorial board), and the International Alliance for Women in Music (former president). She is president of the Baltimore Composers Forum. She has taught at Lafayette College and Oberlin Conservatory of Music. She is currently on the faculty of the University of Maryland/Baltimore County. She received a Ph.d in composition from Princeton University and studied with Paul Lansky, Mel Powell, Pauline Oliveros and Ton de Leeuw.